Working on "Resource Management" in Wien. 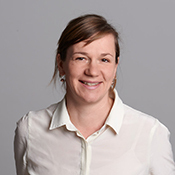 Maria Huber has a degree in Environmental Consulting and graduated at the University of Natural Resources and Applied Life Sciences in Vienna. She also studied at the University of Technology and at the University of Economics in Vienna and specialized in Waste Management and Disposal Engineering. From 2004 - 2010 she was working in the field of sustainable product development/ECODESIGN at the University of Technology in Vienna. The focus of her work lies in the conceptual and content development of projects in the field of sustainable products and services, waste and resource management and corporate social responsibility. Since January 2011 she is member of the scientific team of the Austrian Institute of Ecology in Vienna.